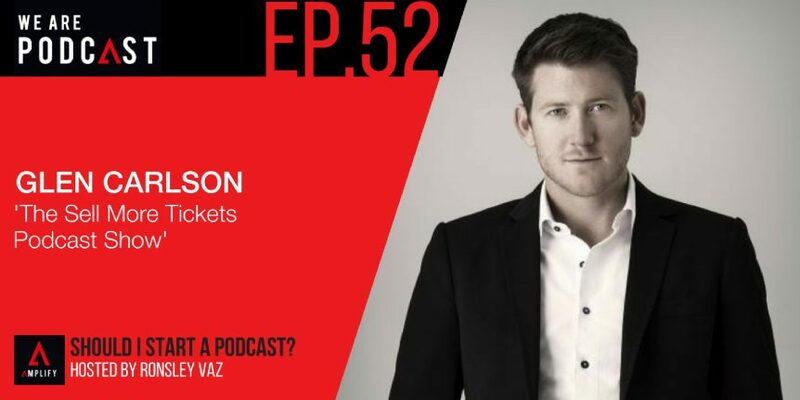 Founder of The Dent Podcast, Glen Carlson is an award-winning entrepreneur. He is the co-founder of Dent Global and the Key Person of Influence Accelerator. In less than 4 years Glen has built his own business into the 9th fastest growing company in Australia. Key Person of Influence is a Global Small Business with a team of 25 in 10 timezones. It is best known for their 40 Week Business Accelerator. It helps the founders of traditional businesses(Financial Planners, Personal Trainers, Designers etc). “I really wasn’t expecting much, Ronsley. It was far more just about me being able to get in people heads. At the same time knowing that at least it would create some good content.